This property is an excellent location for industrial development or residential use. The site is located just off one of the area’s most heavily traveled commercial and commuter corridors, US Highway 52, and has easy access from both US 52 and I-95. The area is a vibrant commercial sector. It is home to a variety of commercial entities including: Florence’s largest number of hospitality establishments; numerous food and beverage vendors; Florence-Darlington Technical College; the Southeastern Institute of Manufacturing & Technology; and the Florence County Industrial Park, home to ADP, Chase Bank, ABB, etc. 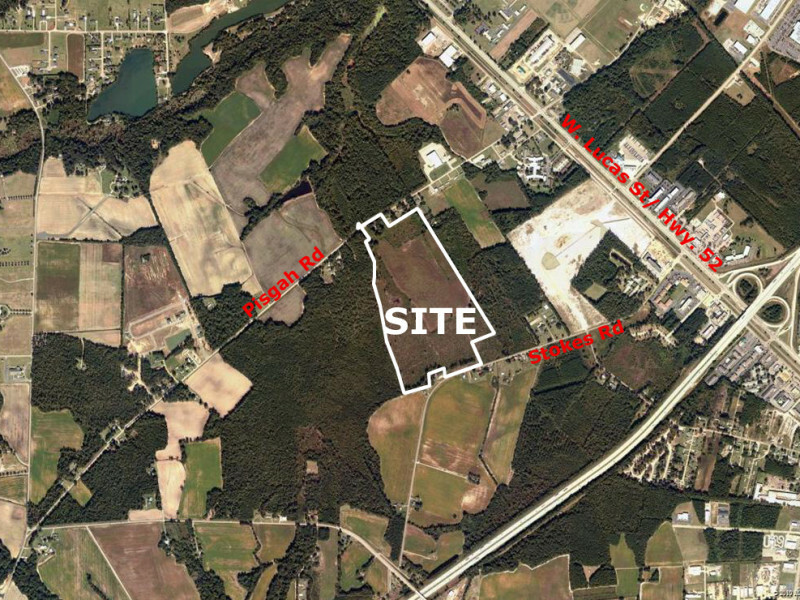 Available is a +/- 80.5 acre industrial or residential development site with frontage on both Pisgah and Stokes Roads.